One of the frustrating realities of searching for travel deals online is that prices change constantly, so it is difficult to be sure you’ve gotten the lowest prices. 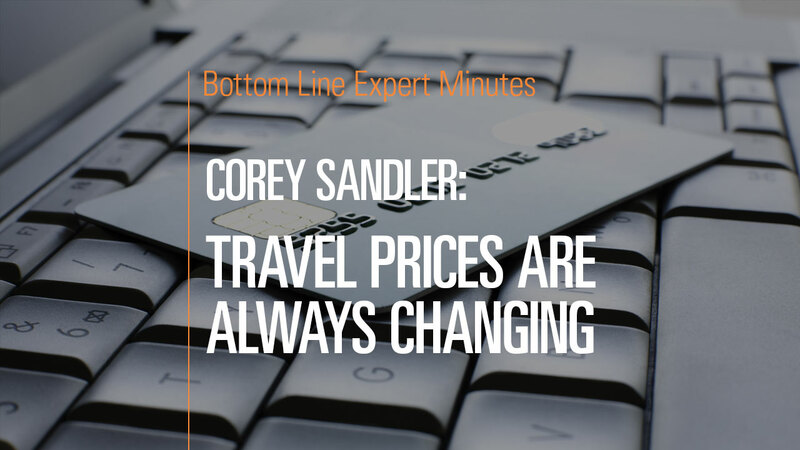 In this video, Corey Sandler, consumer expert and author of Bottom Line’s Secrets of the Savvy Consumer, explains that airlines, hotels and cruise lines all adjust fares on regularly in order to get rid of excess inventory. To take advantage of the lowest prices, Mr. Sandler urges travelers to do their research prior to making a decision. In the case of some airline tickets, consumers can take advantage of 24-hour cancellation policies if they discover a lower fare soon after purchase. But in general, once savvy consumers have researched and locked in cost-saving prices, they should not stress about missing further discounts.